Pakistan Navy is the naval warfare branch of Pakistan. It defends important civilian port and military bases against enemies. Its main purpose is to defend the supreme commander of navy and the constitution of Pakistan. Its main headquarter is in Islamabad. They play a primary role is to protect the country’s economic and military interest at home, aboard and defense policies of GOVT of Pakistan. Recruitments as PN cadet serve as the cradle, grooming them professionally, morally, educationally, mentally and physically. In this designation a person‘s personality traits equipped with the highest ideals of loyalty, honor, courage, and dedications. 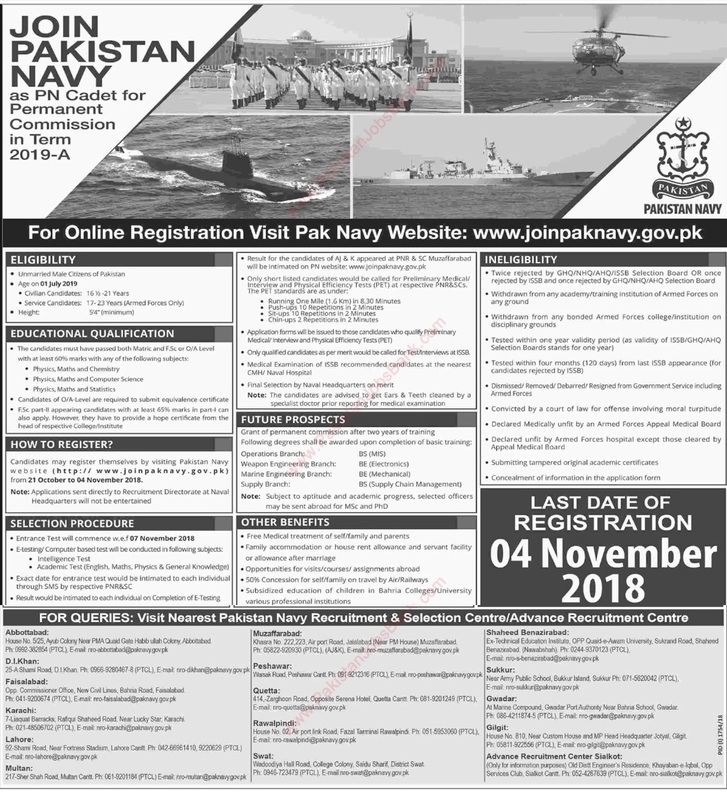 In the recent advertisement, the Pakistan navy needs good and physically fit individuals for further positions. For this purpose, they give a bundle of the post in various fields. Unmarried males or females can apply to these posts. Fresh individuals can also apply for these awesome posts. Criteria are easy and understandable for the candidates. Read out the recent job add and apply online immediately. 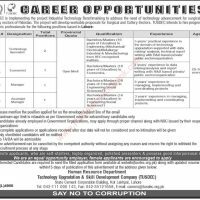 The procedure is given below for applying and submitting the application. 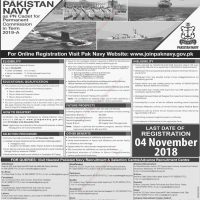 Firstly candidates must register himself on Pakistan Navy official website www.joinpaknavy.gov.pk from 21 October to 04 November. Qualified students who have done F.S.C, O level and have achieved 60% above marks and their minimum height will be 5′ 4 inches can apply for the available posts. 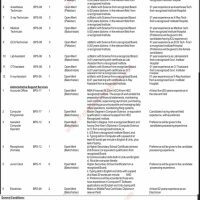 The last date to apply/register for these jobs is expected 04 November 2018. Pakistan Navy gives some special benefits to their employee. These benefits are here. Pakistan navy gives free medical facilities to their employee and their parents. After employee’ marriage, Pakistan navy provides residence to live, rent allowance and servant allowance to the candidates. Provide an opportunity for a foreign tour. 50%special consideration for self, family tour by air or railways. Employee’s children education will be sponsored. Candidates will be appearing in the test on 07.11.2018. The computer-based test will be taken about different compulsory or non-compulsory subject. The final result will be provided to the candidates through SMS. Shortlisted candidates will be called for a medical or physical test. The application form will be given to those candidates who are successful in the medical or physical test. Successful candidates will be called for interview. The medical test will be taken from the candidates at the nearest Naval Hospitals. I love pakistani Army . My father was all so serve in UAE armed force as a Sargent.